Well well well... there is a 2013 NHL season after all. Let's just forget the last 6 months or so of the NHL lockout and focus on the hockey that is on the way next week. Last year - www.wdnicolson.com's NHL Predictions for 2011/2012 did better than expected - we are happy to report. We picked the Kings to come out of the West, the Hart, Ted Lindsay and Art Ross winner in Evgeni Malkin, Gabriel Landeskog as the Rookie of the Year, picked 5 of the 8 Eastern Conference playoff teams and nailed 6 of 8 Western Conference playoff teams. Yes the Penguins fell short of living up to our prediction as the Cup winners, but getting the Kings as the best of the West - and they went on to win the Cup beating the Devils - isn't a bad effort. The Los Angeles Kings at $17.00 - Made a massive addition to their talented squad by getting former Flyers' captain Mike Richards in an off-season trade. His drive (and intent to stick it to the Flyers for trading him) could get them past the first round of the playoffs for the first time since 2000/2001 and who knows maybe another trip to the Stanley Cup Finals (Wayne Gretzky led the Kings to the promised land in 1992-1993)? Adding Richards to Anze Kopitar, Jonathan Quick, Drew Doughty, Jack Johnson and Dustin Brown looks like a very good mix. The New Jersey Devils at $23.00 - They are here simply because Martin Brodeur might have one last great season left in him. That didn't look the case last year when he was awful to begin with and the team badly missed Zach Parise - but both say they are fine entering the season and Ilya Kovalchuk can't scrape around for 60 points in 81 games again surely? Travis Zajac's injury keeps him out until the new years and that is a concern but don't bet against Brodeur and Parise really lifting this team off the canvas. Mind you - it's worth re-iterating that we got the Pens wrong as Stanley Cup champs... and knowing where our loyalties lie - may do so again. 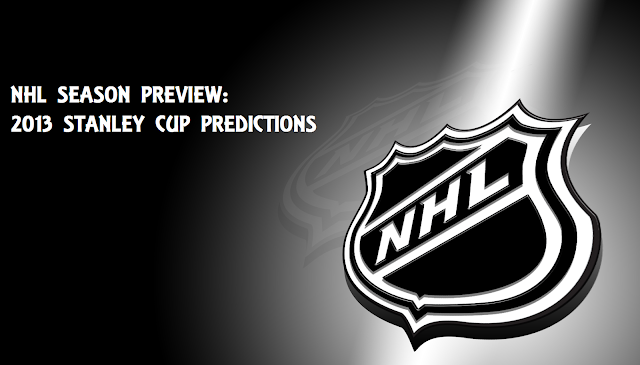 Below is another truncated but hopefully rather punchy NHL Preview. After we go through the East and West regular season standings - we'll list our favourites and dark horses like last year. NRL 2013: Why isn't the market bigger for Michael Jennings? Why are the Roosters the only 'serious' suitors for Michael Jennings? When news filtered through that the NRL and Rugby League Players' Association had made progress on increasing the 2013 NRL Salary Cap to around $5.8 million last month, a number of NRL CEOs must have been just a little annoyed. It wasn't that the rise in the Salary Cap wasn't affordable (the new NRL club grants took care of that) it was that the majority of new signings teams had made for 2013 and were conducted in mid-to-late 2012. So the annoying part is now the CEOs have extra money to spend, there are no marquee players to spend the extra money on. 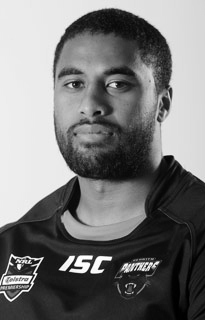 Then news comes through that Michael Jennings is once again 'on the market' and only the Sydney Roosters are being talked about as the serious suitors for the 24 year old strike-weapon. 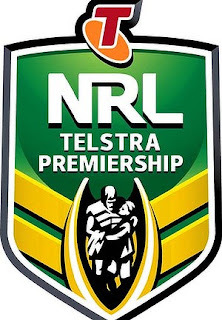 || Update 8/1/13: The Gold Coast Titans have reportedly released Beau Champion from his contract and the centre wants to return to the Bunnies in 2013... does that make them the new front-runner for Michael Jennings? || Update 16/1/13: The Sydney Roosters get their man - Jennings signed a 4 year deal worth upwards of $2 million as the Panthers clear cap space... but who wants to sign with the Panthers if the 24 year old Jennings (who will keep getting better) isn't around? Australian and Tongan International (1/3 Caps), 7 Caps for NSW, 3 Caps for City Origin and 122 games for Penrith. Jennings is young, incredibly talented and has scored 71 tries in his 122 NRL games at a strike-rate of a try every 1.7 games (a figured diluted by a poor 2011 season when he managed just one try in 15 games). 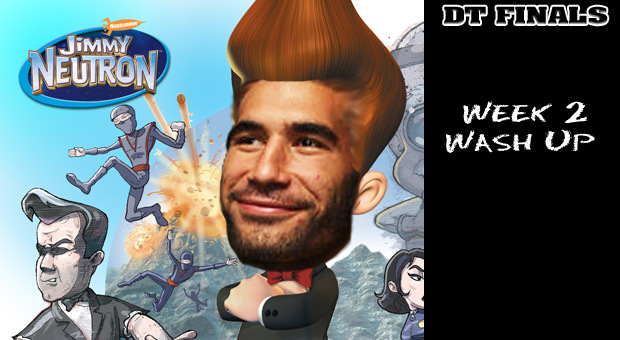 He can make defenders miss and while he's not quite as quick as we once thought - he's plenty quick enough to turn half chances into tries - which is what you pay him to do. Yet only the Sydney Roosters seem to be willing to use up their new cap space and take him off Penrith's hands? Remember most clubs now have some potential wiggle room in their 2013 Salary Caps... so why is the market for Michael Jennings so limited?